When it comes to improving the appearance of your smile, we pursue excellence. At Seneca Family Dentistry, we offer advanced treatments in cosmetic dentistry, including beautiful porcelain veneers. Veneers are the perfect solution for patients who have teeth that are chipped, crooked or unevenly spaced. They can provide instant results that create an attractive, balanced and brighter smile. We bring deep experience and talented artistry when it comes to placing porcelain veneers. 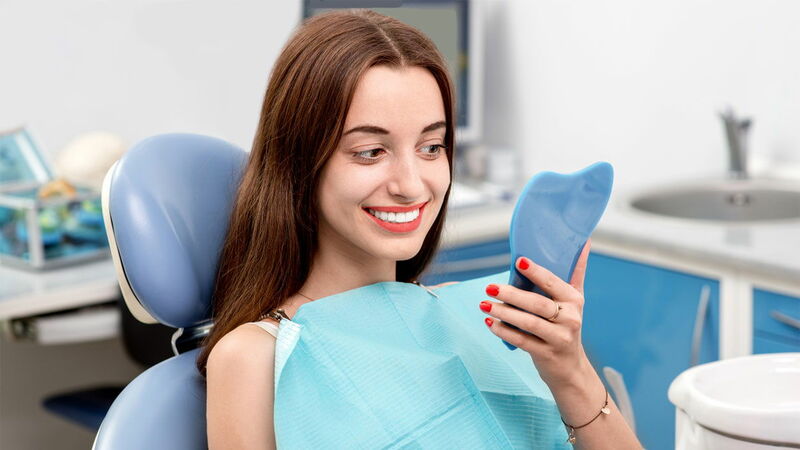 We implement state-of-the-art technology, proven techniques and patient-centered care when it comes to your smile enhancement. When choosing porcelain veneers at our Wichita office, you can expect a comfortable and rewarding experience from beginning to end. Cosmetic dental veneers are wafer-thin shells of porcelain that are bonded directly to the front tooth surfaces. Given their purpose of cosmetic correction, veneers are best suited for the front teeth or more visible portion of your smile. The placement of a dental veneer requires that a tiny amount of your tooth surface be shaved off, this creates a better bonding surface for the veneer. However, in doing so, porcelain veneers become a permanent solution. To ensure optimal bonding and customization of each veneer, we use special instruments and high-grade materials. Cosmetic veneers are modified in size, shape and color to meet the needs and goals of each patient. They are also fabricated to withstand everyday dental function and can be cared for like your natural teeth. Porcelain veneers represent one of the most popular cosmetic dental procedures performed. Not only can they be considered “instant orthodontics” and provide a full smile makeover, but they are also stain-resistant and made of materials that mimic your natural tooth structure. To learn more about this life-changing solution in cosmetic dentistry, please contact us today to schedule a consultation at Seneca Family Dentistry. We welcome the opportunity to help patients smile more confidently.